Wake up to smooth, fresh-looking eyes! 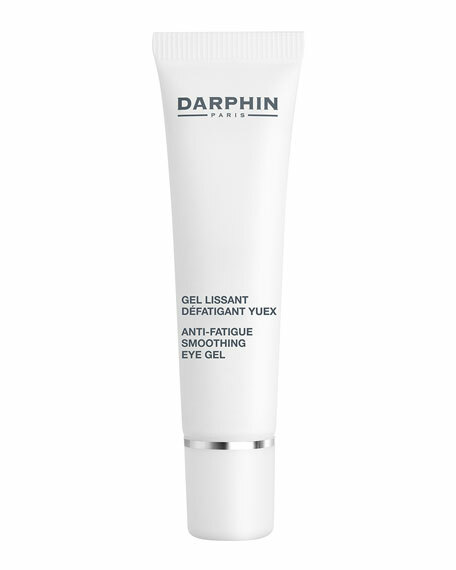 Introducing youth defense for the eye contour. As refreshing as a gel, as gentle as a cream, its unique texture melts into your skin and leaves it looking fresh and luminous. The appearance of lines is reduced, the appearance of fatigue is dramatically diminished and the eye contour is revived and refreshed. The product's scent is 100% natural and is based on Citrus, Green Tea and Violet. 95% of the total ingredients from natural origin. Walnut Extract (Botanical Growth Factors, Free Amino Acids, Polyphenols) and Caffeine, Vitamin C derivative, Hyaluronic Acid Spheres, Formulated without parabens, 95% of ingredients are from natural origin, 100% natural scent (Green tea, Bergamot, Violet). 15 mL/ 0.5 fl. oz. For in-store inquiries, use sku #166921.